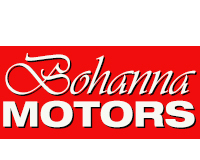 Based in Waikanae, Bohanna Motor Ltd are a one stop shop for all your mechanical repairs and servicing requirements. Our experienced and friendly team do it all, whether you require work on your engine, brakes, cambelts, clutches, or need an oil change or tune up - you name it, we can help. For more info, give us call! Servicing the Kapiti, Otaki, Paraparaumu, Raumati Beach and Waikanae areas, we are a one stop shop for all your mechanical and servicing requirements. Come and visit us.